In June, Vic Falls will host a major international environment and wildlife summit, and at the just-ended tourism fair in Germany they (the environment & tourism ministry) got three awards — Women Achiever of the Year, Zimbabwe as the Best Sustainable Tourism Destination award and Tourism Minister of the year 2019 award! Onwards and upwards for Vic Falls! The Environment and Tourism ministry will in June host a major international environment and wildlife summit in Victoria Falls, minister Priscah Mupfumira told Parliament yesterday. Mupfumira told the Consilia Chinanzvavana-led Parliamentary Portfolio Committee on Environment and Tourism that the country had made major strides in the tourism sector, where it has been recognised as one of the top 10 must visit countries in the world by National Geographic, as well as the third best country to visit after Sri Lanka and Germany at the just-ended tourism fair in Germany. She said although the Chinese have been the country’s major all-weather friends, Zimbabwe has not been marketing aggressively to lure them into the country, which is a must-do. “In June, we will host a major international environment and wildlife summit in Victoria Falls, and at the just-ended tourism fair in Germany we got three awards — Women Achiever of the Year, Zimbabwe as the Best Sustainable Tourism Destination award and Tourism Minister of the year 2019 award,” Mupfumira said. 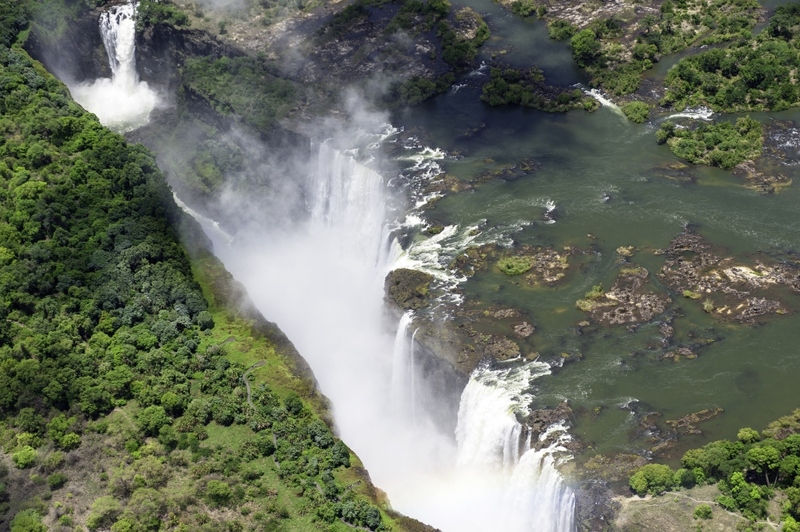 “Tourism arrivals in Victoria Falls show an improvement, but our challenge is accommodation and connectivity, whereby when a tourist comes to Zimbabwe to see the Victoria Falls, they also want to visit other places like Great Zimbabwe, the Eastern Highlands, but there are no connecting flights to those places,” she said. She added that although the country was experiencing fuel problems, her ministry managed to ensure that it was adequately available at tourism resorts like Victoria Falls and Kariba. She said her ministry was currently promoting community-based tourism by ensuring that each province has cultural villages, where tourists can stay in huts and experience rural life and local cuisine. There were also plans to have an animal sanctuary in every province, so that locals can also see wildlife for free. “At Chinhoyi Caves we have already introduced two lions. We have set up a dedicated director’s desk for domestic tourism. In China, 70% of tourism is by locals. We have also resuscitated the Campfire project, so that people that live in wildlife areas also benefit,” she said.